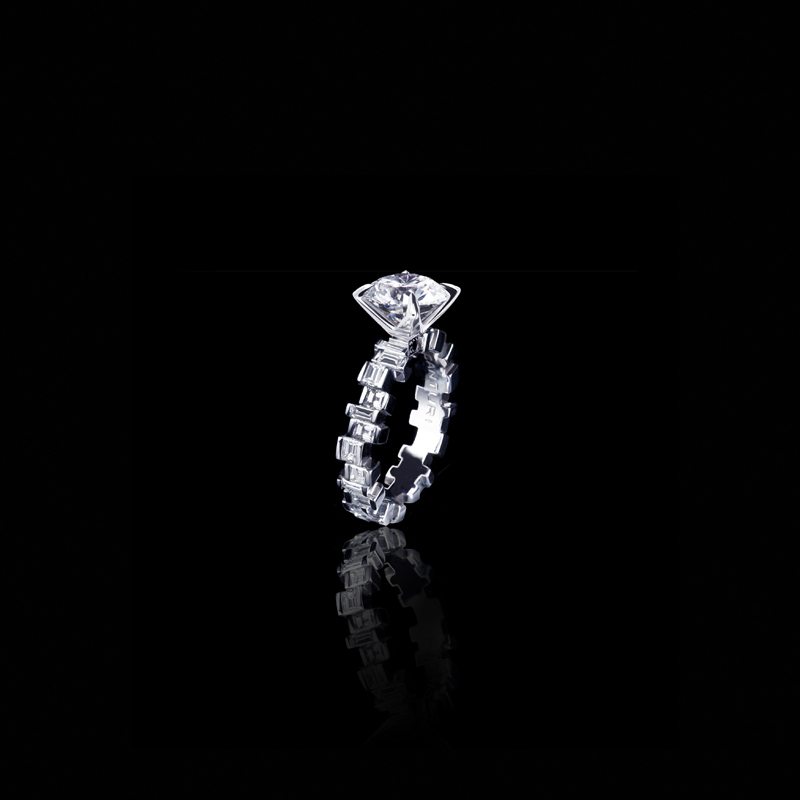 Cubism Radiant ring with baguette and carré cut diamonds in a pulsating design featuring a round brilliant cut diamond (shown), or a variety of shapes and sizes. In 18ct white gold, also available in yellow gold and pink gold. Abstract Cubism diamond ring with oval cut aquamarine gemstone set in 18ct white gold.